Riesling Hour. What hour of the day shouldn't be devoted to this wonderful grape. For those unfamiliar with Riesling, here's what wiki has to say: Riesling is a white grape variety which originated in the Rhine region of Germany. Riesling is an aromatic grape variety displaying flowery, almost perfumed, aromas as well as high acidity. It is used to make dry, semi-sweet, sweet and sparkling white wines. Riesling wines are usually varietally pure and are seldom oaked. As of 2004, Riesling was estimated to be the world's 20th most grown variety at 48,700 hectares (120,000 acres) (with an increasing trend), but in terms of importance for quality wines, it is usually included in the "top three" white wine varieties together with Chardonnay and Sauvignon Blanc. Riesling is a variety which is highly "terroir-expressive", meaning that the character of Riesling wines is clearly influenced by the wine's place of origin. And for native terrior, there's no place like Finger Lakes Riesling. And on May 26th the Finger Lakes Wine Country organized a casual social media tasting of a few Finger Lakes Rieslings. We received bottles from Fox Run Vineyards, Heron Hill Vineyards, and Hazlitt 1852 Vineyards. The first two were made dry while the Hazlett was crafted off-dry. We started with the Fox Run Vineyard, a winery we are very familiar with from their excellent Cabernet Franc & Lemberger wines. We have also tasted their Riesling at many trade events so it was no surprise to us that Dry Riesling 2009 ($15.99) was a nice wine. Full of citrus (lime & grapefruit) aromas and flavors and then balanced with a refreshing acidity. This is my kind of summer wine. We have also tasted Riesling from Heron Hill Vineyards, but its been awhile so this was a nice refresher. We won't let this long pass again. Immediately after sipping the 2008 Ingle Vineyard Riesling ($15.99), the first involuntary impulse exclaimed "wow". Here was the first silky, structured Riesling I can remember tasting. The grapes are from thirty plus year old grapes grown on the Ingle estate on the west side of Canandaigua Lake (the far western lake). The wine has less acidity than the previous, but it didn't need much since it was a fuller wine. A Riesling wine with character. We ended the session with the Hazlitt 1852 Vineyards 2010 Semi-Dry Riesling ($12.00). We've seen Hazlitt pouring their wines at many festivals and trade shows, but never tasted because they always seem to attract long lines for their Catawba based Red Cat. That was a mistake. 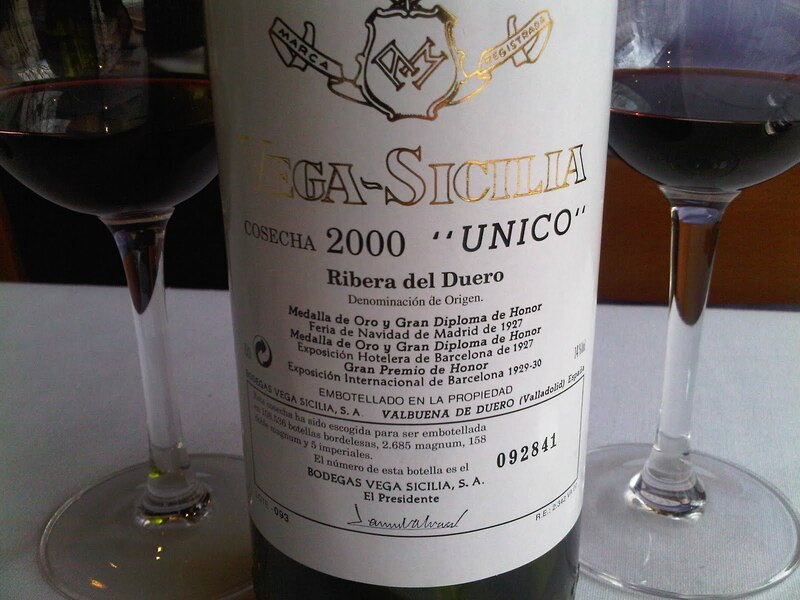 The winery also crafts excellent vinifera based on this wine. This off-dry Riesling has some sweetness (1.8 r.s. ), but most is offset by the bright acidity. That balance allows the fruit flavors to linger (I was getting mostly peach). This was a nice set of wines. We need to plan a road trip to Finger Lakes Wine Country very soon. There's just too many good things happening up North that we can no longer ignore. We continue our brief profiles for SAVOR, the amazing craft beer festival that comes to Washington, D.C. on June 3rd-4th. This really is an amazing event - over 70 craft breweries pouring over two nights at the National Building Museum. Follow Bill, over at DCBeer, who has been regularly publishing profiles of some of these breweries. We have two more breweries we'd like to share from the MyJoogTV catalog. 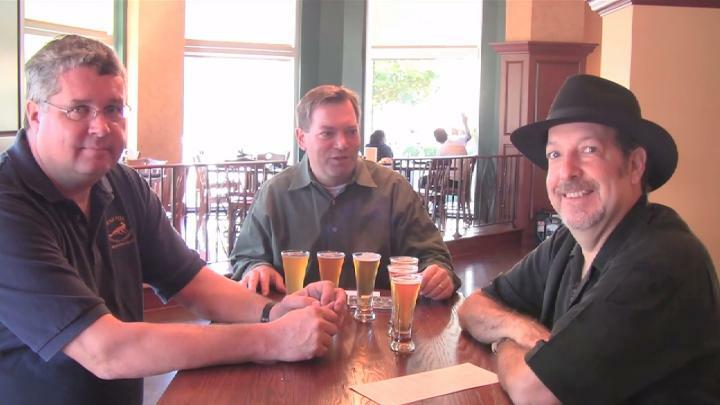 These episodes feature two Maryland breweries participating in SAVOR: Flying Dog Brewery & Brewer's Art. And as usual, watch to the end to view musical performances from Holy Ghost Tent Revival and soihadto, which features bassist Chef Duff Goldman from Charm City Cakes and the Food Network's Ace of Cakes. I know we've been covering the beer world for the past week for or so for American Craft Beer Week and that trend will continue as the extraordinary beer festival, SAVOR, comes to Washington, D.C. June 3rd-4th. This really is an amazing event - over 70 craft breweries pouring over two nights at the National Building Museum. Now, Bill, over at DCBeer, has been regularly publishing profiles of some of these breweries. In that spirit, we have two we'd like to share from the MyJoogTV catalog. These episodes feature two Virginia breweries participating in SAVOR: Mad Fox Brewing Company & Devils Backbone Brewing Company. And as usual, watch to the end to view musical performances from Tom Principato and Sarah Siskind and Travis Book, bassist for The Infamous Stringdusters. 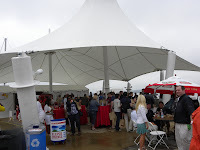 Under overcast skies and threatening rain we attended the 2011 National Harbor Wine & Food Festival. 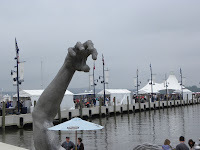 What makes this event different than most festivals at National Harbor is that it utilizes the piers in addition to the parking lot so it has a more marina feel. And those with VIP tickets were able to enjoy the Belgium beer tent surrounded by water. This year we didn't have the time to hone our cooking skills; but had plenty of time to sample new bourbons and beer. 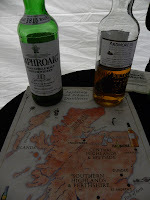 The Jim Beam Bourbon tent was surprisingly sparse so we were able to quickly sample some excellent scotch from Laphroaig and Ardmore and distinguish the difference between whisky c rafted in the highlands and those by the sea. The Laphraoig was smokey and salty while the Ardmore was more subtle. For the first time in 52 years Maker's Mark has released a new product, the Maker’s 46. Compared to the original Makers this bourbon is 96 proof, instead of 90 proof, fuller and sweeter at the finish. I didn't care much for this extra sweetness and definitely prefer the standard bearer. As in added attraction in the tent we watched cigars being rolled by Cortez Handmade Cigars. As for beer, there were several nice options. The Belgiums (Stella Artois, Leffe Blonde, Hoegaarden) were at the forefront and always a good option. There was also a new Canadian entry, Alexander Keiths, from Nova Scotia. The brewery is over 190 years old but for the U.S. market it looks like production is location in St. Louis (aka Budweiser). For the domestics, we stuck with Kona Brewing Company and Chicago's Goose Island. We paired their ales with oysters from Pepper Creek Shellfish Farm. A nice combination. Since our palettes were consumed with beer and bourbon, we didn't bother sampling the wine - but there was plenty available. Maryland wines were represented as well as some Oregon Pinot Noir, the same from Burgundy, Italian Soave, and many more. Besides the lack of bathrooms, this was an entertaining festival. Particularly when grabbing a rum concoction and sitting at the "beach" listening to Steel Dynamics. We started a little Wednesday tradition at the day job, sort of a team building exercise, by sharing a growler of craft beer. 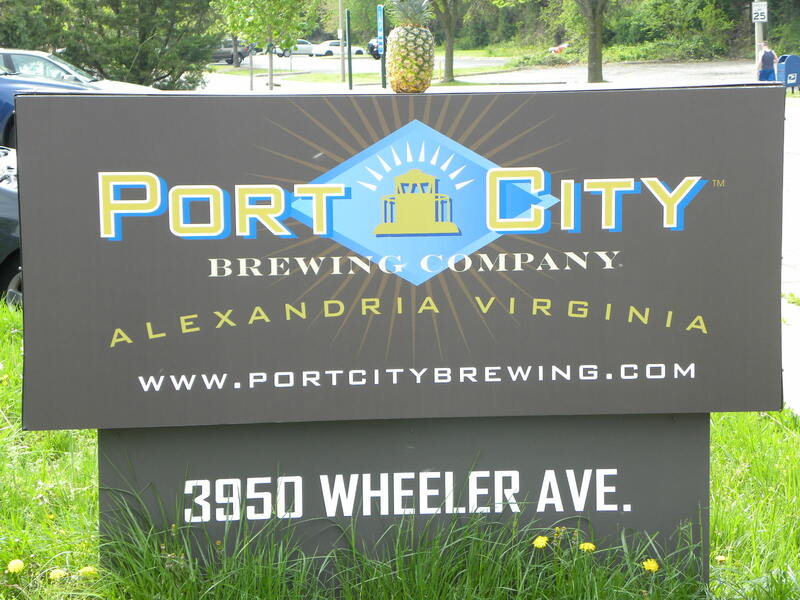 Our first brew was crafted locally in nearby Alexandria by Port City Brewing Company; the unfiltered Belgian Wit Bier: Optimal Wit. This beer is brewed with raw wheat and oats, and steeped with coriander, orange peel and grains of paradise. This is a classic Wit, refreshing with loads of mouthfeel and a nice balanced finished. Nice to see good beer produced immediately from a start-up. For Port City is an infant, opening Super Bowl weekend of this year. And yet its presence is felt throughout the year thanks to owner, Bill Butcher's , contacts within the distribution system. 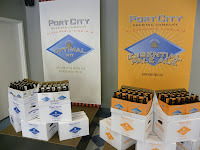 Before opening Port City Bill was managing sales and distribution for Robert Mondavi Winery and Folio Fine Wine Partner. 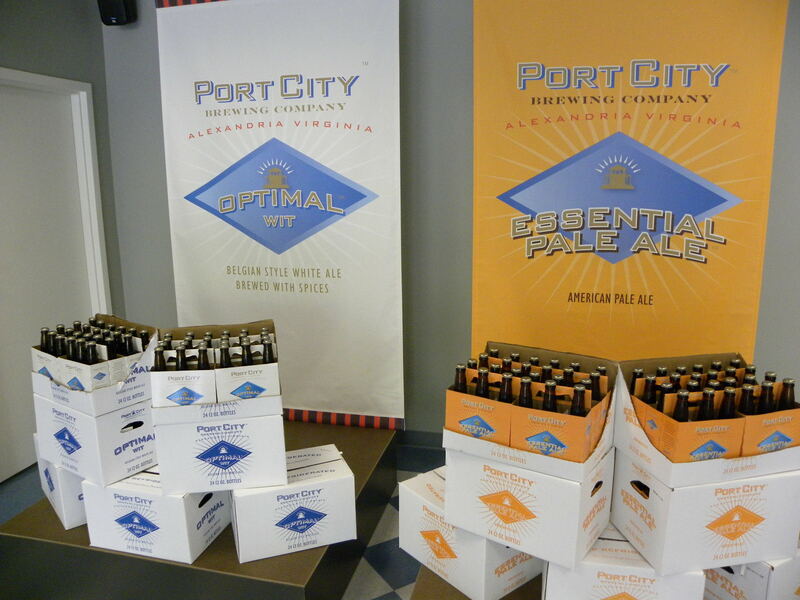 He leveraged contacts made from those endehttp://www.blogger.com/img/blank.gifavors to have Port City brews available throughout the Washington D.C. Metro area. Now its up to brewer, Johnathan Reeves formerly of Sweetwater Tavern), to keep the distribution in place based on the beers' quality - not from old contacts. Besides the Wit, he crafts an Essential Pale Ale, Monumental IPA, and Porter. The last is actually my favorite from the portfolio, smooth with toffee flavors and a slight bitter finish. Very nice. 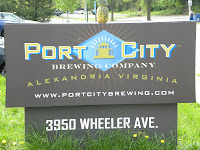 Port City is open Fri day nights and weekends for tours so plan a visit during American Craft Beer Week. 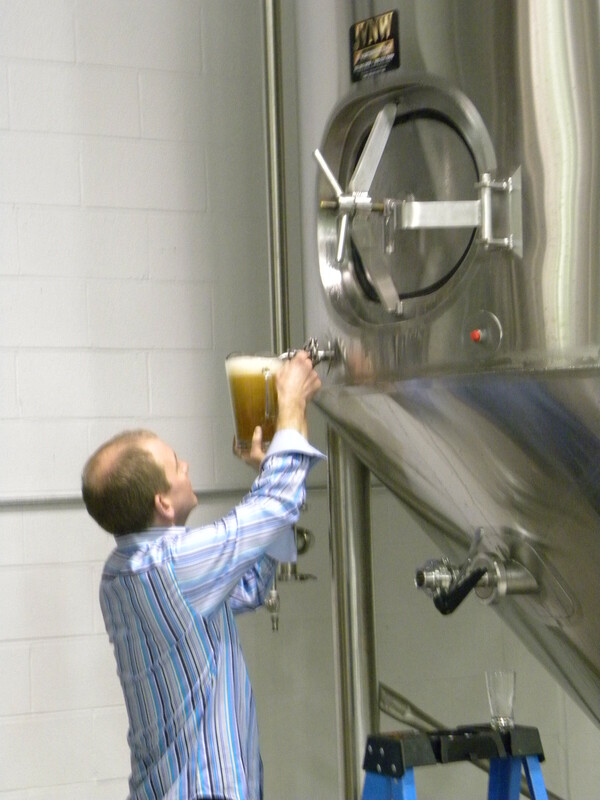 On these occasions, Bill or a staff member guides visitors on a brewery tour and possibly a tasting from one of the fermenting tanks. Be sure to see the proprietary Hop Blaster that sends hops flying into the fermenting tanks whenever dry hopping is required. With the start of American Craft Beer Week, On Tap Magazine hosted a kickoff party at the Arlington Rooftop Bar. Since the day job is located right across the street and that several big name craft brewers were in attendance, this was a no brainer. The best part of functions like this was not only drinking great craft beer, but interacting with representatives of each brewery. Before last night I didn't know that Saranac Brewery (Utica NY) is the second oldest family owned brewery in the United States - easy guess which is the oldest. And the brewery offers a concert series with major national acts: Grace Potter & The Nocturnals, Michael Franti and Spearhead,Umphrey's McGee, & Robert Randolph and the Family Band. Wow, these are big name musicians. And during the summer, Saranac hosts local artists on Thursday nights. 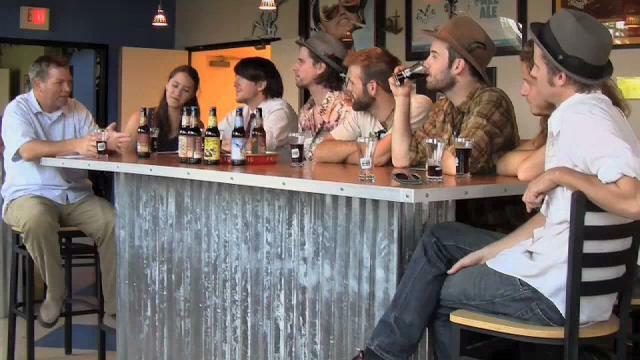 Speaking of music, Highland Brewing Company (Asheville, NC) just opened a music v enue where they will be hosting live music on Friday and Saturday nights. Gaelic Ale and live music; that's a nice pairing. Our friends from Flying Dog Brewery (Frederick, MD) were also in the house and we learned of several new seasonals and partnerships as well as their 25th Anniversary parties planned for this summer. That's parties in that they will be traveling though out the DC Metro area hosting events to celebrate the occasion. We hope to have these events posted on Wine-Compass in early summer. And finally, w e spent some time with Alex from Brewery Ommegang (Cooperstown, NY). Over an Ommegang BPA - Belgium Pale Ale - we discussed their live music ventures as well as the specialty release: Gnomegang. This is a blonde ale created by a partnership between Brewery Ommegang and Brasserie d’Achouffe. It is made with five malts, two noble hops, and both of the distinctive Chouffe and Ommegang yeasts. I'll be out this weekend looking for this one. We recently posted on The Wine Grapes of Virginia based on a discussion of Viognier being named the Signature Grape of Virginia. We were then asked to provide the same information for Maryland which, due to its smaller number of wineries, was easier to compile. This data is obviously not official and does not designate the appellation where the grapes were grown; just the grape varieties that were used to craft Maryland wines. The first four were not surprising, and probably not Vidal either as seen in Virginia. However the sixth, Riesling, was a surprise. I wonder if the grapes are harvested in state or sourced from the Finger Lakes. There's an interesting discussion occurring over at Drink What YOU Like regarding the Virginia Wine Board's decision to designate Viognier as the Signature Grape of Virginia. Yes, Virginia wineries craft very nice Viognier, but what I found interesting was that there is no clear idea how many of Virginia wineries actually make wine from the now signature grape. At Wine-Compass, representatives from wineries can add their portfolio and we had a decent representation from the Commonwealth. When adding a wine, the representative can also select one or more grape varieties which comprise the wine. I decided to break a personal pledge and updated the varietal information for each winery. The description and price of the wine may be outdated, but they at least, all have the varietal designations. The table below show the estimated number of wineries that use each grape variety. Each count doesn't mean a winery crafts a single varietal wine for that variety. In many cases the grape is used in a blend and a Meritage could have five grape varieties. I believe that is one reason the use of Petit Verdot is higher than I had expected. As for the Viognier, I would expect that about 90% of these are single varietals so its use is quite common in Virginia. Welcome to the signature grape. Quick Question. Why do we like best the festivals that serve both beer and wine? Obvious, right? More choices for everyone. Well now our friends at Corcorcan Vineyards, Waterford Virginia, have brought that concept to their winery by opening Corcoran Brewing. Want to taste wine, turn right; taste beer, turn left. It's that easy. Now the new operation is a true nano brewery; that means its small, very small. They brew just once a week in an old barn next to the winery. Yet for such a small operation they are crafting a l arge selection of beers. Six beers in total - supplying beers from the entire rainbow of styles: Wheat, American Ale, English Ale, Irish Red, IPA, & Stout. Proprietor Jim Corcoran hopes to eventually have an all Virginia range of beers using Virginia grown barley and hops from their farm. Commendable since he has to ship the Virginia grown barley to a facility in the Midwest to have it processed into malt, then re-shipped back to the brewery. Brewer Kevin Bills has been home brewing for over a decade. Now's his chance to brew professionally. Now the brewery is not officially open since their inventory is understandably in low supply. Yet on May 19th at 7:00 pm, smack in the middle of Craft Beer Week (May 16-22, 2011), they are providing an opportunity to sample these beers paired with the excellent culinary dishes from Magnolia's of the Mill in Purcellville Virginia. Five courses of food paired with the Corcoran Brewing beers for $80 - all inclusive. Besides the South Beach Wine and Food Festival, perhaps our favorite festival is the Wine and Food Festival at National Harbor, which occurs this coming weekend, May 14th & 15th. 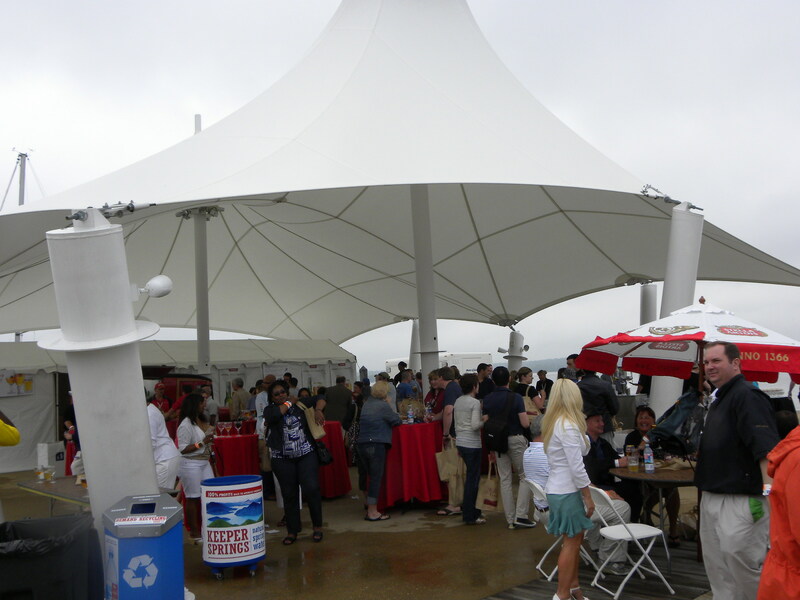 First, the event is held in a really cool location - on the docks at National Harbor - not even in the parking lot. Then there's the 150+ different wines, beers, & spirits in an ALL-YOU-CARE-TO-TASTE affair. Care for a BIER GARTEN serving Stella Artois, Lefe, Hoegaarden, Kona, Redhook, Heavy Seas, Starr Hill, & Magic Hat. I personally am looking forward to the The Jim Bean sponsored Whiskey-Bourbon Experience offering whiskeys and bourbons from some of the greatest distilleries around. How about a beach party with a steel drum band. Or the local musicians performing at the Live Music stage. Plus there's a kid's area with moon bounces and activities. Oh yea, I almost forgot you foodies out there. Yes, there will be plenty of cooking demonstrations and seminars by Chefs Katsuya Fukushima, Elizabeth Falkner, Billy Strynkowski, Dave Zino and many more. What's the price? Just $35 for general admission or $75 for a VIP package. Plus other affordable options. Like I said, this is one of our favorite annual events. And while you are at National Harbor, check out Boxwood Winery's new satellite tasting room. This morning we noticed that there are over 1,450 upcoming events listed at WineCompass. More half of these are occurring in Virginia. So for those in other regions and states, go ahead and add your wine, beer, or spirits event. Its free and goes out to 10,000 monthly visitors. 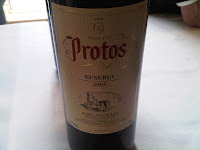 Reading this article how Spain lost their 'Rioja' name battle with Argentina reminded me that I had failed to post on a trade tasting of Ribera del Duero wines. I guess them being neighboring Spanish Denominación de Origen (DO) sharing Tempranillo as the major grape tickled the brain. In any case, the Drink Ribera tasting was on the same day as this same day as the 2011 Les AOC du Languedoc Ambassador Tour, so we had to split our time between the two. According to its wiki page, "Ribera del Duero is located in the country's northern plateau and is one of eleven 'quality wine' regions within the autonomous community of Castile and León. It is also one of several recognized wine-producing regions to be found along the course of the Duero river. Ribera del Duero is home to the world-famous and highly-prized Vega Sicilia and Tinto Pesquera wines and is dedicated almost entirely to the production of red wine from the Tempranillo grape." We learned this information plus much more during a short seminar in the region. For instanc e, the grapes benefit from Diurnal temperature variation which produces "high acid and high sugar content as the grapes' exposure to sunlight increases the ripening qualities. Then the sudden drop in temperature at night preserves the balance of natural acids in the grape". Also, grapes have been harvested in the region for over 2,000 years and like France, the area was devastated by the Phylloxera epidemic in the late 1800s. Finally, red grapes are the norm with Albillo, the only white variety grown. Yet the most enlightening part of this seminar was the chance to sample two Vega Sicilia wines, perhaps Spain's mo st notable winery. 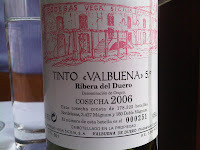 These were the Cosecha 2000 "Unico" and the Tinto Valbuena 5° Cosecha 2006. What an opportunity. 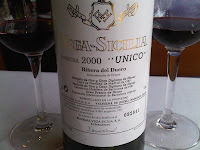 The Unico is only produced in choice years and then released after a minimum of ten years aging - in this case twelve years. The Valbuena brand is crafted during non-Unico years after 5 years' aging. This explains the "5°" part of the name. These are serious wines at serious prices. And way out of my league in terms of coinage and sophistication. Theses wines are full bodied monsters, but simultaneously elegant and refined: soft tannins and balanced acidity. Savored each glass for quite a while - it may have been my last chance in quite a while. 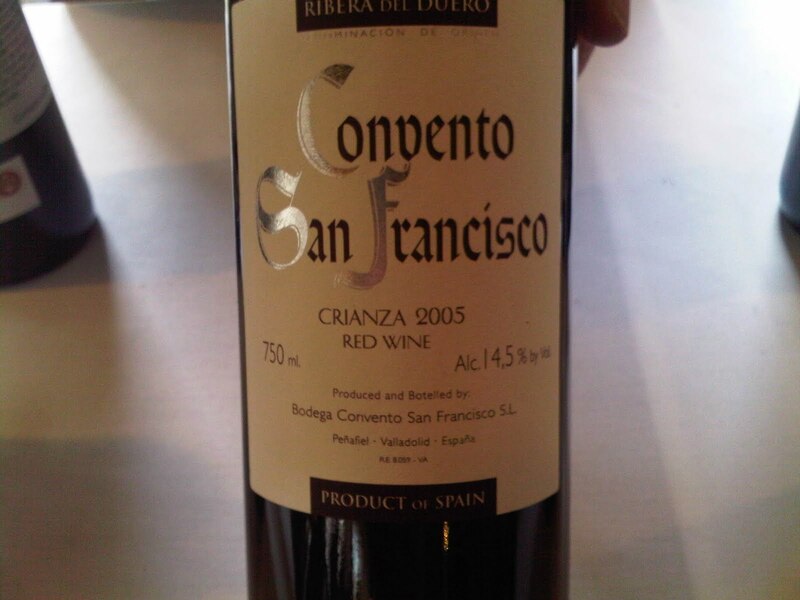 There were dozens of other Ribera wines to sample and after the previous tra de tasting, we were in no mood to receive the drunken attendee award. Those we stuck to a couple tables. What a complete difference from the Languedoc from earlier. Not too say either were better; just completely different. The Ribera were more full bodied with bigger tannins; the Languedoc softer in both tannins and body. Love them both. 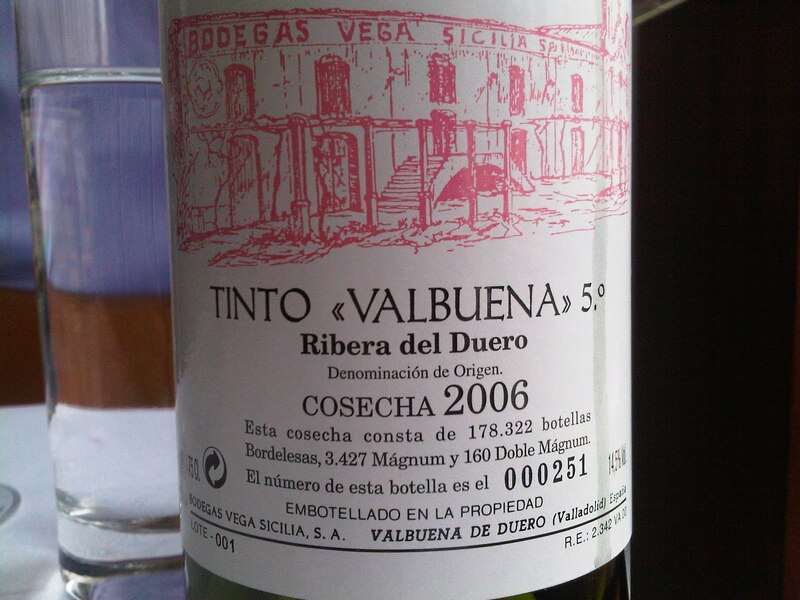 And besides the Vega Sicilia most of the Ribera del Dueros are very affordable. That's a characteristic that both wine regions share. No, not from England and watching the Royal Wedding? as the makers of these beers produce libations of substance and soul that are sincere and authentic, and the enjoyment of them is about savoring the gastronomic qualities including flavor, aroma, body and mouthfeel, while practicing responsible appreciation.